Psych Your Mind: Why don't people evacuate before storms? Why don't people evacuate before storms? As a Manhattan resident, this past week my life has been dominated by one event: Hurricane Sandy. 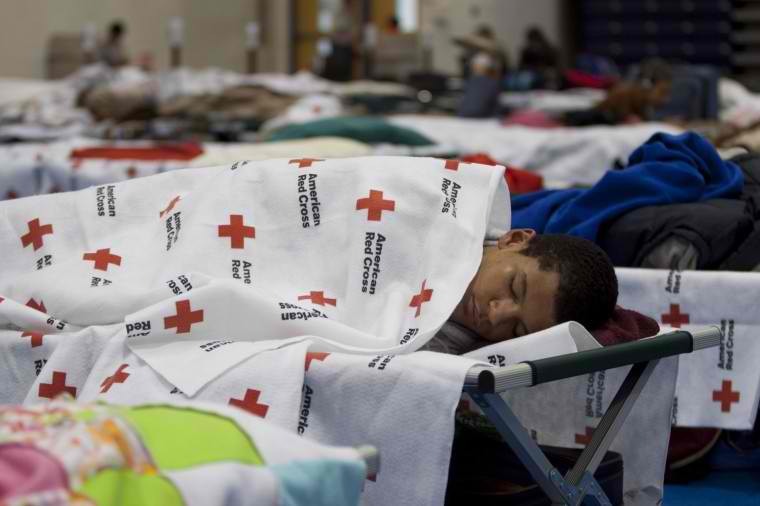 Fortunately, unlike tornadoes or earthquakes, hurricanes allow time for people to prepare. 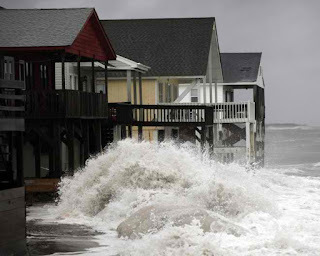 In the hours leading up to this hurricane, government officials issued mandatory evacuations for residents of coastal areas that were likely to be hit hardest. Residents were urged to seek shelter with friends and relatives or utilize one of numerous shelters opened (some with transportation included). Despite government officials pleading with citizens to evacuate dangerous areas, many decided to stay. 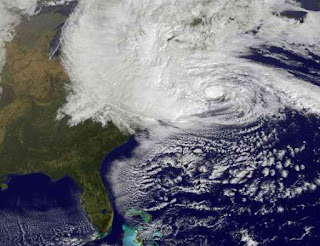 For some during Hurricane Sandy, the decision to stay had tragic and costly consequences. At least 14 of the people who died in Staten Island were found in evacuation zones. In areas such as Long Island’s South Shore, some people panicked as the storm got worse, putting volunteer first responders in harm’s way. And in the hours after the storm, rescue workers ventured into some of the most devastated areas to retrieve residents who had been stranded. Who are the people who ignored evacuation orders? Given such strong warnings and opportunities for shelter, what caused them to stay? In this post, I will propose some psychological characteristics that might describe non-evacuators. I do not think any single characteristic accounts for people's choices; instead, a host of factors, both personal and situational, probably contributes to the decision to leave or to stay. To be clear, these are my hypotheses, and as far as I know, they are not supported by data. Nevertheless, I hope you will read on and share your own hypotheses. We all appraise and react to threats differently. When people are told a new strain of the flu is out, some people feel a strong sense of threat. They get flu shots immediately, stock up on orange juice, and wash their hands constantly. Others take a more carefree approach, not changing their routines and only getting flu shots if they’re convenient. The first group would likely be high in trait anxiety, while the second would be low. Trait anxiety is considered to be a stable characteristic and generally corresponds with how many situations people perceive as threatening and how intensely they respond to threats. Is it possible that people did not evacuate because they were low in trait anxiety and did not perceive the oncoming storm as a great danger? Even if people low in trait anxiety did see the storm as threatening, it’s possible that they reacted to it less intensely as well. Maybe they closed up doors and windows, but did not go so far as to evacuate. In contrast, think about those high in trait anxiety – I can certainly imagine that they would be gone before the evacuation orders were even issued. Reactance refers to a motivational state caused by threats to one’s freedom or autonomy. It leads people to exhibit behaviors that will restore their sense of freedom. Reactance can influence people to reject advice because it is seen as a threat to autonomy and to pursue an opposing course of action. For example, in a study of anti-smoking messages, 10th graders said they were more likely to try a cigarette soon if they read an explicit message not to smoke, rather than one that emphasized their freedom to choose. Teens are notoriously high-reactant individuals (i.e., they exhibit reactance frequently), and this study demonstrated the power of a controlling message to influence them in the opposite direction. Perhaps people who did not evacuate when the storm was coming did so because they are also high-reactant individuals. When President Obama told them, “You need to evacuate. . . . Don’t question the instructions that are being given,” high-reactant people may have sensed this as an imposition on their freedom to make their own decisions about what to do. If high-reactant, they may have tried to restore their sense of freedom by opposing the advice and staying put. According to the five-factor model of personality, openness to experience is one of the main dimensions of personality. People who are low in openness to experience prefer engaging in activities that are familiar and predictable. On Saturday night, your friends who are high in openness to experience are the ones who want to try the new restaurant across town with exotic cuisine; your friends who are low on openness to experience would love to go to your same old stomping grounds. Might people low in openness to experience prefer to stay at home, rather than go to a shelter? Packing up your things and heading to a shelter to ride out a storm is a new experience, filled with many unknowns. Who else will be there? Will I get any sleep at night? Can I stay near my dog? Even staying with relatives poses more unknowns than one’s daily routine at home. Leaving the comfort of one’s home to stay at a shelter requires a certain degree of flexibility in one’s behaviors. Therefore, I think it’s possible that some individuals did not evacuate because they preferred not to deviate from routine. Instead, they opted to stay at home, where everything was well known and familiar. I want to emphasize again that these are three of my hypotheses, and they are not based on data about those who did not evacuate. I'm sure there are plenty of other factors, both personal and situational, that influenced people to stay at home. These are just my attempts to explain what characteristics might describe people who remain in risky locations during a dangerous storm. What do you think of these hypotheses? If you live in an evacuation zone, did you leave or did you stay? Let us know if you think of other characteristics that might describe people who do not evacuate. McCrae, R.R., & Sutin, A.R. (2009). Openness to experience. Handbook of Individual Differences in Social Behavior, 257-273. Thank you for sharing this article! Yes, many people who stay behind do not have the resources to leave and so the outcome of not evacuating is not really a choice. Even with buses and shelters provided, there are other reasons it is more difficult for lower-income people to evacuate, e.g., being less able to miss work. I liked this article’s focus on the many ways that people who stayed at home during Katrina were still taking action during the storm, not passively ignoring it. I wonder how the demographics of leavers and stayers during Katrina compare to those during Sandy. Certainly the people the media have focused on post-Sandy appear to have had the resources to leave, but they may be a small minority. Thanks again for posting this! I think a more openness to experience type of person may want to experience the storm. I know that is why I stay. It is not that I am afraid to leave or am defying athority. I considered that, too! I think a lot of people are excited by what the storm might bring. Perhaps you’re right – that people high in openness to experience stay home to experience the novel situation of being in the middle of a big storm. Thanks for your comment! It was clear, from Space, that is was time to pack up and go...one should now feel bad for able bodied people who ignored evacuation orders? I’m suggesting that we should figure out *why* people stay in evacuation zones. Once we know more about that, we can maybe re-assess how we feel about the issue. Thanks for reading! Any donation or advice would be appreciated. Yes – thank you for bringing up the media’s role in this! Hurricane Sandy presented a unique situation for many in that they had just evacuated last year for Hurricane Irene. The orders and reports were all very similar, but the outcomes were quite different. It seems that people may be sick of overblown warnings and simply don’t believe the reports anymore. And unfortunately, yes, in many areas, people are worried about burglary or other damage while they’re gone. Maybe because the idiots of main stream media news outlets have cried wolf a few too many times? They describe every storm with all these sensational terms...and then hardly much happens (with a couple exceptions). They do it because they get to charge more for ad slots and more of them. It's ad revenue derived from people's fear. And it makes great news headlines. Now I see they are trying to spin this as it being everyone's else's fault. It is sad that there is a whole industry that can make more money if it inflates reports. The more dangerous the storm is predicted to be, the more people tune in. Hopefully our government officials get the most accurate and least biased info possible and then base their warnings on that. Thank you for reading! If you do not trust the warnings from the media, mayor, governor,and president, the only one to blame for your crisis is yourself. They (for once) were all on one accord while the resident was on another chord. Bad decision made which brought severe consequences. But as many here point out, sometimes they are all on the same page, and the evacuation ends up not being necessary. There are also situations where people want to leave, but cannot due to factors beyond their control. Thanks for reading! In evacuation zones of the most devastating modern hurricanes an able-bodied and prepared person can expect a nearly a 100% survival rate. Even in the lower 9th ward of New Orleans, any resident who was not disabled or elderly, prepared with 2 weeks worth of food and water, basic sanitation and cooking supplies, as well as a small craft such as a canoe, can expect to ride out a major storm unharmed. Also, this person can help neighbors in distress and maintain order in the community. On the other hand those who evacuate have historically had property seized (sometimes by police), homes looted and sometimes burned, and have waited weeks or months before the nanny-state has given the "all clear." Frankly I'm surprised anyone of physical and mental character evacuates. Thanks for your point about helping others in the community when staying behind! In the article mentioned in one of the comments above, the researchers found that people who stayed behind in Katrina emphasized this in their narratives of the event. Hopefully people are all sticking together right now and helping to clean up so many of the damaged communities. Good article. If I live in an evacuation zone, I would leave. My apartment almost was in an evacuation zone this time – it was a little scary! Thanks for reading. I suspect that many people simply place more value on their possessions than is reasonable, often feeling a false sense that by staying, that it is more likely they can prevent damage to the objects they consider valuable, even if it requires them to risk their lives to do so. I think you’re right that people sometimes stay so that they can protect their property. In some cases it may be possible (e.g., preventing people from entering your home); in others, it might not be (e.g., preventing the storm from washing away your front porch). Thank you for this comment! I think many people are now SO 'dumbed-down' by TV watching and all the brain changing additives in food, tap water, vaccines etc, they are no longer able to think rationally about most things. Very sad. It definitely seems the hyped-up reports from the media make people wary about whatever they say! Tough to know what to believe and what's just too exaggerated. Thanks for reading! I would also look at individuals' understanding of the threat. With an average 8th-grade understanding of science and math in our population, it is very difficult and overwhelming for many to make logical decisions incorporating complex data. So the logical pathway that would say "my chance of losing my house in this hurricane is 100000 times greater than my ever winning the lottery" never comes into play. Instead, people buy lottery tickets and "shelter in place" in flood zones that get inundated every time there's a heavy rain. I do agree with you on this. 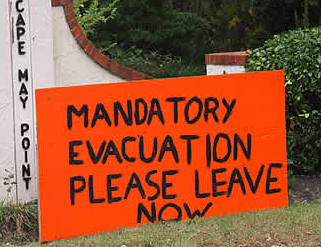 I'm not really sure why people stay in those evacuation zones when there is trouble heading their way. To me, that does not make any sense to stay there. If people have enough warning time to leave, then I think that they should listen and pack up as much as they can and get out of their residence as fast as they can, so that nothing happens to them. It is better to be safe than sorry, I always say. This though has may psychological factors to people. They are just too emotionally attached to the things that they love the most to them but they should learn to sometimes leave those things behind and seek shelter as soon as they can. I wonder if evacuation rates would change if those who were able-bodied didn;t evacuate when told were handed a bill for the cost of their rescue.I feel for those who are experiencing such and awful situation, but if you're told to leave and you choose not to, yo ushould have to pay for your rescue later. This is awesome! It shows that people really do have different priorities in life, even during catastrophes, not to mention in different situations. The question “Why don’t people evacuate before storms?” is easy to say for some, but it takes a lot of compassion to understand. I really care for those people who want to but just can’t due to lack of resources. Everyone, keep safe! Can Mindfulness Make You Happier?